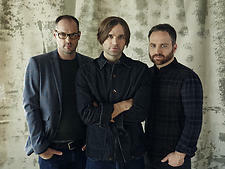 Key exponents of the earnest, easy-listening school of indie rock that flourished in the early aughts, Death Cab for Cutie are still going strong. 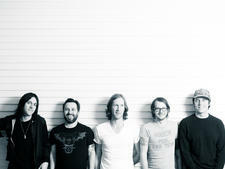 Here, Ben Gibbard and his Washington State crew gig behind their eighth LP, whose title, Kintsugi, references a Japanese art form that, according to Death Cab bassist Nick Harmer, “[makes]the repair of an object a visual part of its history” and also nods to the 2014 departure of DCFC cofounder Chris Walla. In keeping with the bands M.O., fans shouldn’t expect too radical a shift; the new material just sounds like good, old Death Cab to us. Texan epic-instrumental-soundtrack-rock specialists Explosions in the Sky set the stage. 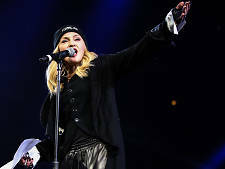 Madonna may not be a New York native, but at this point, she’s been repping NYC for more than three decades. Catch the pop diva here in support of her latest LP, Rebel Heart. The album contains some of her best work in a while, and she’s been doing this for long enough that she knows how to pull off big-league pop razzmatazz. Expect cutting-edge videos and dizzying choreography—in short, one hell of a show. Led Zeppelin may be in the midst of a snazzy, full-catalog reissue campaign, but don’t get your hopes up for a U.S. tour. Leonine lead man Robert Plant is on the road with his current cross-cultural concern, the Sensational Space Shifters, touring behind a sensuous African-tinged soul-meets-rock set, lullaby and…The Ceaseless Roar. Unhinged Cali emocore types Joyce Manor did the impossible with their last three albums, reinvigorating pop-punk with a sound both comfortingly familiar and refreshingly original. And if punk-bro machismo turns you off, worry not—frontman Barry Johnson instituted a stage-diving ban at his concerts after witnessing flying punks crush unsuspecting showgoers. A signee of the rapidly diversifying Fat Possum roster, Youth Lagoon—the one-man project of 24-year-old Boise, ID, singer-songwriter Trevor Powers—fashions an eerie appeal out of reedy vulnerability, nostalgic pop hooks and hazy, dreamlike distance. 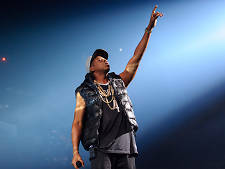 Four outsider-rap luminaries take over Madison Square Garden for what’s sure to be the hip-hop concert of the season. 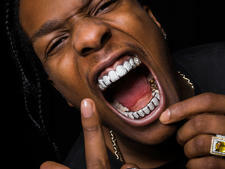 The co-headlining double bill pairs thrillingly inventive Harlem rap phenom A$AP Rocky with anarchic Odd Future anti-hero Tyler, The Creator. They pull in support from word-drunk weirdo Danny Brown and the sharply sinister Vince Staples. Returning for a fourth year with another big bash in Central Park, Global Citizen allows you to earn your way in to catch a starry bill—Beyonce, Coldplay, Pearl Jam, Ed Sheeran—by performing civic-minded acts, with a goal of eliminating extreme poverty around the globe by 2030. (Or you can, you know, shell out big bucks for VIP tix.) Get started by visiting globalcitizen.org. 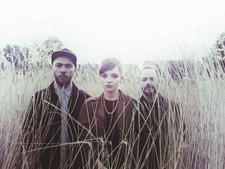 It’s easy to see why Chvrches emerged as one of the most heavily hyped bands 0f 2013. The coed Scottish trio’s swooning, Prince-meets–Kate Bush synth pop, captured on exquisite singles such as “The Mother We Share,” is an irresistible sonic confection. Two years later, the cosmic popsters land at Central Park in support of their upcoming sophomore album, Every Open Eye. Even though the tracks on Godspeed You! Black Emperor’s recent album, Asunder, Sweet, and Other Distress, all range from six to 13 minutes in length, it’s the shortest LP the shadowy Montreal post-rock collective has released thus far. The crew’s tunes take their sweet time in building to immensely emotional climaxes, but each wait is well worth it. Whether old classics or new material are in store for this Terminal 5 set list is a moot point, since every GY!BE performance is a unique event. 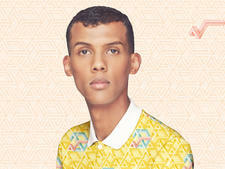 Rising electro-songsmith and Time Out New York cover star Stromae (real name: Paul Van Haver) specializes in soulful bangers that sound at once sophisticated and bombastic. He’s a huge star in his native Belgium, and increasingly a recognizable name in the States as well. This headlining spot at the Garden will be his biggest NYC gig yet. 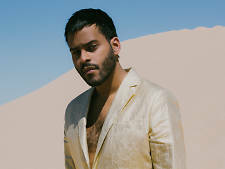 Since George Lewis Jr. introduced himself to the public as north Brooklyn’s one-man laptop act Twin Shadow, he’s added a live band to the fray and made for some kind of Prince-inspired, slick-dance-ballad endeavor, which is to say that it’s awesome. His most recent full-length, Eclipse, is his most fully realized vision yet, so be ready to move to sparkly new jams. Toro y Moi + Astronauts, Etc. Chazwick Bundick is somewhat of a stylistic chameleon. 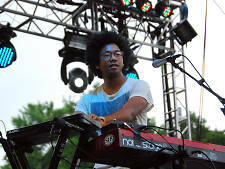 Under the Toro y Moi moniker, his sound has dramatically evolved on each album from synth-swathed “chillwave” to full-on smooth-funk goodness—and with this year’s new LP, What For?, he’s turned to Weezer-esque indie rock (and don’t forget his club-ready output under the dance alias Les Sins). Catch the man-of-many-hats’ new material live before he switches gears again. 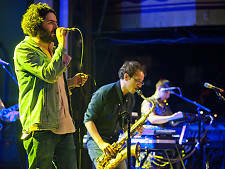 Dan Bejar, erstwhile New Pornographer and idiosyncratic Canadian singer-songwriter who makes music as Destroyer, put forth a dynamic, mature interpretation of the soft-rock genre on 2011’s Kaputt. His newest, Poison Season, tones down the dad-rock but still packs his trademark free-associative musings. Despite the insistence of Seth Rogen’s character in Knocked Up that “Steely Dan gargles [his]balls,” and though the band hasn’t released a new album in more than a decade, the Dan’s stock has continued to rise in recent years. 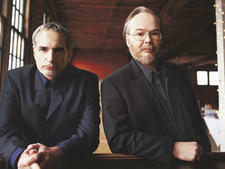 Hell, Donald Fagen, Walter Becker & Co. even turned up at Coachella earlier this year. The inimitable jazz-pop sophisticates with the most sly, most depraved lyrics in pop show off their airtight grooves during their annual Beacon run, preceded by a PNC Bank Arts Center gig with like-minded vet Elvis Costello in support. 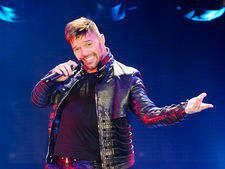 Ricky Martin’s One World Tour stops at the Garden in support of the Puerto Rican pop hunk’s latest, A Quien Quiera Escuchar (“To Those Who Want to Listen”). The new disc skews a little sappy, but we think it’s safe to expect a thumping, dance-commanding good time from the former Menudo man and, uh, vida loca liver extraodinaire. 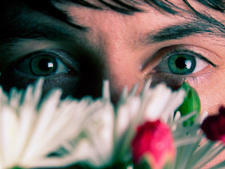 Panda Bear, a.k.a. Animal Collective indie-pop visionary Noah Lennox, released his first album since 2011, Panda Bear Meets the Grim Reaper earlier this year, a dazzling effort that layers organic electronic textures and Lennox’s Beach Boys–y vocals into bizarre choral-sounding freak-folk. 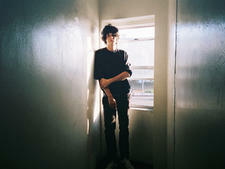 Tobias Jesso Jr. serves up retro-style piano pop, which references touchstones both cool (Lennon, Harry Nilsson) and uncool (Billy Joel, Barry Manilow). 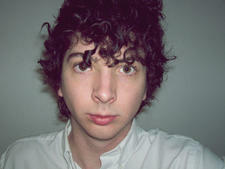 His tunes are breezy and beautiful, not to mention way smarter than your average drippy singer-songwriter fare. Here, Jesso supports his debut, Goon, with a pair of MHOW gigs. 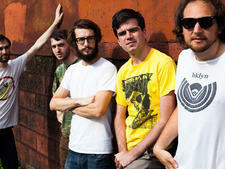 The young punks in Titus Andronicus are wise beyond their years: Singer Patrick Stickles and his band craft meaningful, epic records with an abundance of cultural references and even more bite. Their decade-spanning catalogue of work culminated this year with the ambitious release of a 30-plus–song rock opera in five acts, theatrically titled The Most Lamentable Tragedy. 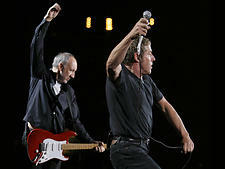 The Who—that is, Pete Townshend, Roger Daltrey, some other musicians and two very prominent ghosts—hits the road as part of the group’s 50th-anniversary celebration, digging into some deep cuts for their supposedly final stadium trek. The core duo is bolstered by a more-than-able supporting cast, including Beatle progeny Zak Starkey and bass wizard Pino Palladino, recently heard on D’Angelo’s masterful Black Messiah. 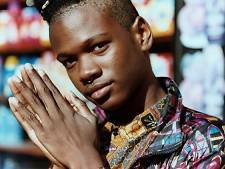 Buzzy androgynous indie-popper Shamir Bailey croons and raps over bouncing R&B-infused four-on-the-floor beats. The tunes are undeniably infectious, so it’s no surprise the singer’s debut LP, Ratchet, landed him on a slew of “Artist to Watch” lists this year.